Please, use the make contact with information provided at every pool profile. Most of the Heated Pools in Maryland offer both open lanes for independent swimming and also guided activities like water aerobics or aquabike. Please have a look to the Swimming Pools swimmers like you may have reported. Is your pool not listed? Contact us to ADD IT. It's free of charge! There are usually discounts readily available to senior citizen and small children. Find out by contacting your nearest pool in Maryland. Please check the nearest Heated Pools in Maryland or Contact us to ADD IT. It's absolutely free! Regular users told us essentially the most important thing of swimming is usually to control your breathing. To obtain this, our head should be aligned with our spine all the time. Let us tell you a secret to switch off while you are in Waldorf: just pick a Swimming Pool in Waldorf and plunge into the water! There's no far more effective technique. Swimming is really a excellent idea to keep your body active during your visit to Baltimore (Maryland), or even in case you are a local. Swimia assists you to discover your closest Pool in Baltimore. Whereas Silver Spring is among the six most populous cities in Maryland with nearly 71.452 residents, you shouldn't miss that one if you're going to Maryland. Holding an estimated population of 99.615, Columbia is one of the most important cities in Maryland. Check all the Swimming Pool in Columbia and its surrounding region. It's difficult to visit Maryland without dropping by Glen Burnie (with 67.639 residents). 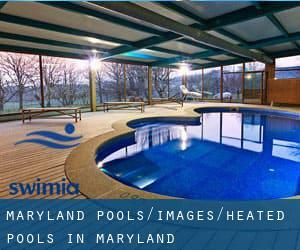 Currently Swimia is showing you all of the Swimming Pool in Glen Burnie and the closest pools located in its vicinity. Without a shadow of a doubt, swimming in Germantown is the very best way to unwind after work. Take a couple of minutes to browse Swimia's catalog to find a Swimming Pool in Germantown. Updated on 2019 This sports center gives 25 yards x 56 feet, 8 lanes, Indoors. For this Swimming Pool, only phone number is number here. Updated on 2019 210 E. Centre St. , Baltimore , MD , USA (Postal Code: 21202). This sports center gives 20 yards, 3 lanes, Indoors. For this Swimming Pool, only phone number is number here. Updated on 2019 5401 Wilkens Ave. , Baltimore , MD , USA (Postal Code: 21228). Swimmers like you reported 25 yards, 8 lanes, Indoors. Unfortunately we do not have the email address of this Swimming Pool, but we can give you the phone number. Updated on 2019 Community College of Baltimore County , 7200 Sollers Point Road , Dundalk , MD , USA (Postal Code: 21222). Swimmers like you reported 25 yards, 6 lanes, 4 feet - 13 feet depth, Indoors. Unfortunately we do not have the email address of this Pool, but we can give you the phone number. Updated on 2019 4400 Montgomery Ave. , Bethesda , MD , USA (Postal Code: 20814). Swimmers like you reported 25 yards, 4 lanes, Indoors. Unfortunately we do not have the email address of this Pool, but we can give you the phone number. Updated on 2019 8615-A McLain Ave. , Glenarden , MD , USA (Postal Code: 20706). Swimmers like you reported 25 yards, Indoors. Unfortunately we do not have the email address of this Swimming Pool, but we can give you the phone number. Updated on 2019 110 West Timonium Road , Timonium , MD , USA (Postal Code: 21093). This sports center offers 25 meters, 6 lanes, Indoors. For this Swimming Pool, only phone number is number here. Updated on 2019 1201 Jackson Rd. , Silver Spring , MD , USA (Postal Code: 20904). Among all the activities supplied by the center, if you are keen on swimming you may enjoy 42 yards x 22 yards, Indoors. Just in case you wish to make contact with this Swimming Pool before dropping by, we only know the phone number. Updated on 2019 301 W. Lombard St. , Baltimore , MD , USA (Postal Code: 21201). Swimmers like you reported 51.5 feet x 25.75 feet, Indoors. Unfortunately we do not have the e-mail address of this Swimming Pool, but we can provide you with the phone number. Updated on 2019 4701 N. Charles St. , Baltimore , MD , USA (Postal Code: 21210). Among all the activities provided by the center, in case you are interested in swimming you might get pleasure from 20 yards, 4 lanes, Indoors. Just in case you need to contact this Swimming Pool before dropping by, we only know the phone number. Updated on 2019 850 S. Rolling Rd. , Catonsville , MD , USA (Postal Code: 21228). Among all the activities provided by the center, if you are interested in swimming you will enjoy 25 yards x 45 feet, 6 lanes, Indoors. Just in case you need to contact this Pool before dropping by, we only know the phone number. Updated on 2019 715 S. Schumaker Dr. , Salisbury , MD , USA (Postal Code: 21804). This sports center offers 25 yards, 6 lanes, Indoors. For this Swimming Pool, only phone number is number here. Updated on 2019 1900 Worcester Highway , Pocomoke City , MD , USA (Postal Code: 21851). Swimmers like you reported 25 yards, 6 lanes, Indoors. Unfortunately we do not have the email address of this Swimming Pool, but we can give you the phone number.